Purchase this product now and earn 1,800 Reward Points! 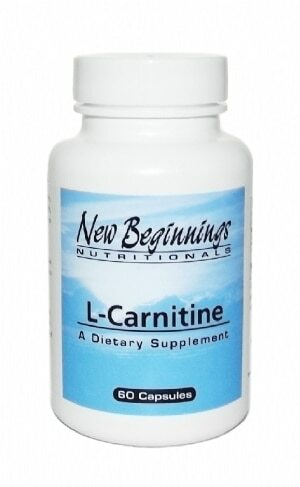 L-Carnitine is an important nutrient and is necessary for fatty acid metabolism and energy production in heart and muscle function. Although L-Carnitine is not “officially” an amino acid, it bears many resemblances to amino acids and is usually grouped under this heading. 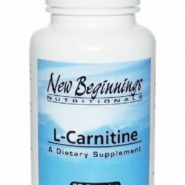 Since the burning of fat is a major source of muscular energy, deficiencies in L-Carnitine are manifested as low energy levels and muscular weakness. 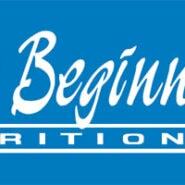 L-Carnitine deficiencies can also appear as mental confusion or cloudiness, angina (heart pain) and weight gain. Suggested Dosage: 1 to 2 capsules daily or as suggested by your health care practitioner. Capsules can be swallowed or opened and contents mixed in food or juice. Other Ingredients: Cellulose, gelatin (capsule) and silica. This product contains NO yeast, gluten, soy, milk/dairy, corn, sodium, sugar, starch, artificial coloring, preservatives or flavoring.